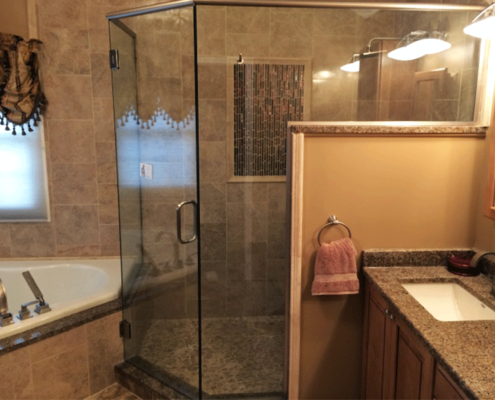 Designs in Glass has been one of the leading companies for bathroom remodeling contractors in Michigan for decades. 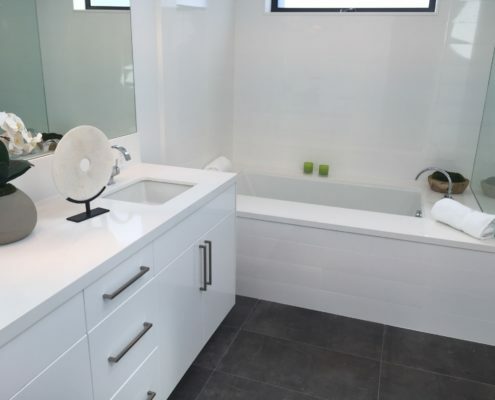 Our professionals are highly experienced in major and minor bathroom renovation and design projects and we are certain that you will be 100% satisfied when selecting us to remodel your bathroom and/or shower room. 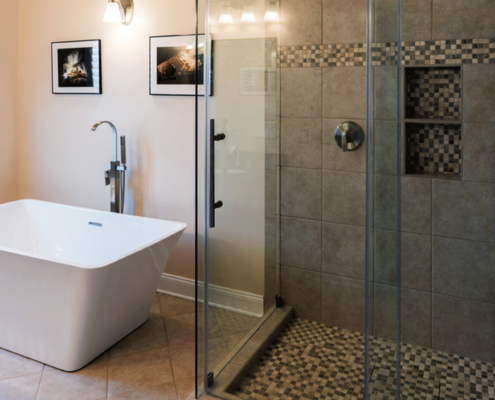 Howard Emmer, Owner of Designs in Glass, is one of Michigan’s most talented and experienced bathroom remodeling contractors. With over 30 years of experience in the most extensive bathroom renovation projects possible, it is no wonder why Designs in Glass has been said to “set the standards that other remodeling companies follow“. Designs in Glass has been Accredited by the Better Business Bureau with an A+ Rating for many consecutive years. 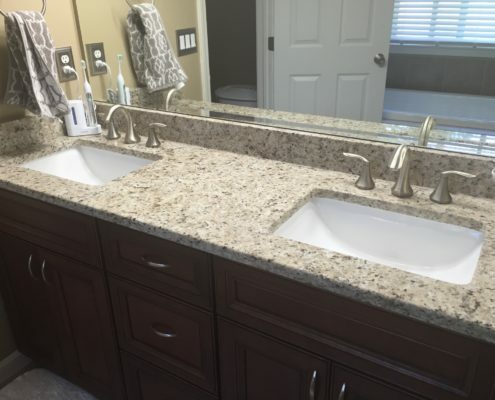 We are proud to say that this, along with our great customer reviews, is what separates us from other bathroom remodeling companies in Michigan. If you ask around your neighborhood; there is certain to be a family or two that has chosen our company for their bathroom Remodeling project and would be more than happy to refer you to our services. Our custom bathroom countertops are the best. And they are made specific to your bathroom. Every time. There is no bathroom cabinet space or cabinet that we cannot design for you. This is a key part to your outcome. Frameless and euro glass shower doors are what sets the bathroom apart from the rest of the house. From the floor to the ceiling. Our custom bathroom tiling and lighting will add the finishing touches to your bathroom. We love helping our customers transform their ordinary bathroom into a fresh, beautifully designed showcase that friends and family will be talking about for years to come. 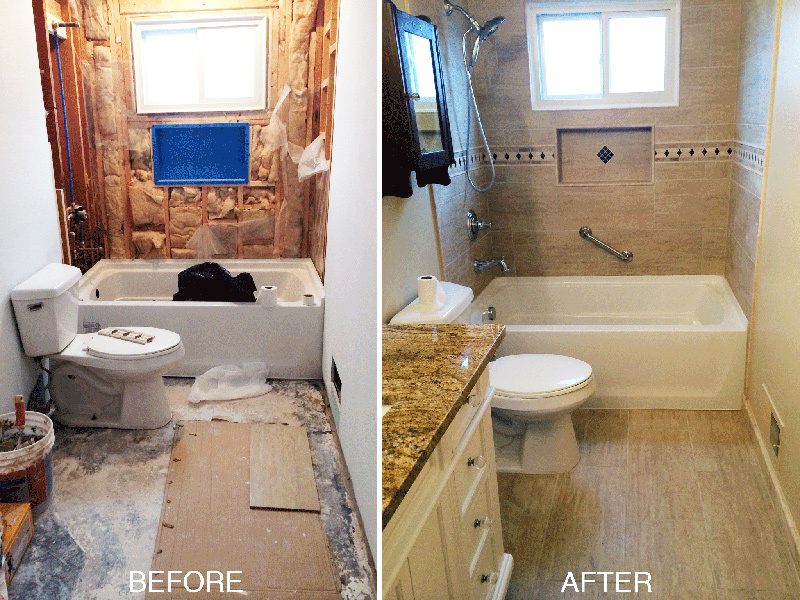 We can design a new bathroom for you, or build the dream bathroom that you already have in mind. Just about everything that we install for your project will be custom built to suit your specific space. Your bathroom will be a unique work of art not found in any other home. When we are finished, you will be able to take a couple pictures and upload them to Pinterest so that others can be inspired with what a beautiful bathroom should look like.